Would you like to master a simple forecasting (and rectification) tool that’ll amaze your clients and students with its accuracy and simplicity? 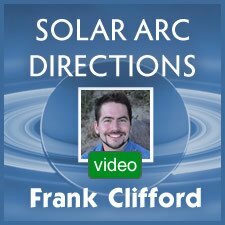 In this workshop, Frank will share some tips for making the most of Solar Arc Directions and identifying landmark periods in your lives. He will also introduce his original work on ‘Shadow Transits’, which links seemingly unrelated life events. 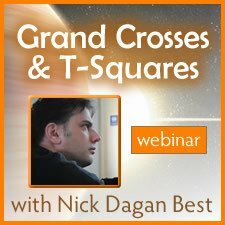 Learn how Solar Arcs can be a vital, invaluable part of your astrology toolkit, and how it can enhance your work as an astrologer. Feel welcome to share your charts and life stories. Some will be used during this interactive day. 3 hrs. 29 min. mp4 video download. Includes slides and handouts. 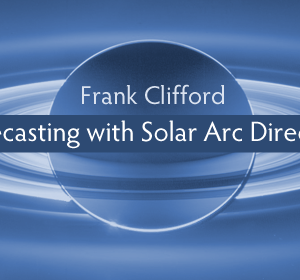 In the past 25 years, Frank Clifford has built an eclectic career as a writer, consultant, teacher, data collector, publisher and media astrologer–palmist. 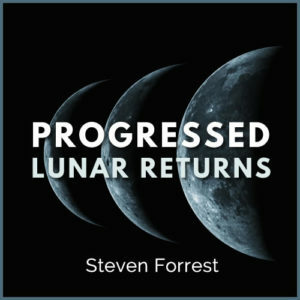 He has written fourteen volumes (including Getting to the Heart of Your Chart and Solar Arc Directions), published a further twelve from other authors under his Flare imprint (including The Contemporary Astrologer’s Handbook by Sue Tompkins and The Twelve Houses by Howard Sasportas), had his work translated into eight languages, and given close to a thousand classes and seminars internationally since he began running The London School of Astrology in 2004.